A recent Examiner article shows that some people don’t fear cruises due to going overboard or getting seasick, but from being bored on the high-seas. There is a common misconception among cruise-aphobes that all a cruise ship has to offer is a deck and a room, and if looking over the sides at the ocean isn’t enough for you, then what’s the point? Fortunately, at Adventure Student Travel, we coordinate student cruises with the best liners. This year, we are offering 4 & 5-night student cruises to Nassau, Bahamas, Cozumel, Mexico and Key West, Florida departing from Port Canaveral or Port of Miami. 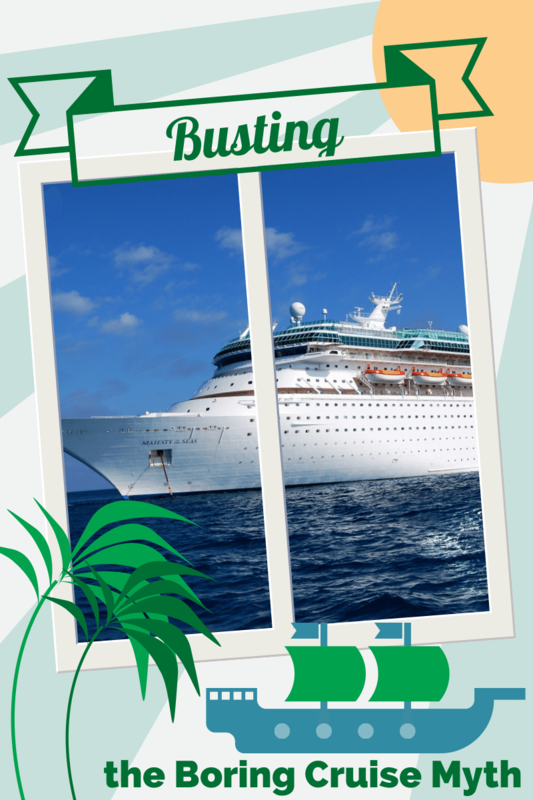 These cruises provide your group the opportunity to travel to multiple destinations without the worry and hassle of catching a flight and going through airport lines and customs – you just kick back oceanside on a comfy chair, and hop off when you’ve reached the next port! If kicking back and relaxing isn’t what you want to do, our cruises have complementary stateroom service, gourmet meals, 24-hour snacks, exciting activities, and fabulous entertainment. Most cruise ships that have earned their sea legs these days come equipped with a gym, a pool, rock climbing walls, a casino, bowling alleys, movie theaters, live performances, spas and libraries. There will always be something for every type of vacationer. Still worried you’ll be bored on the high seas? Call today and let us change your mind.